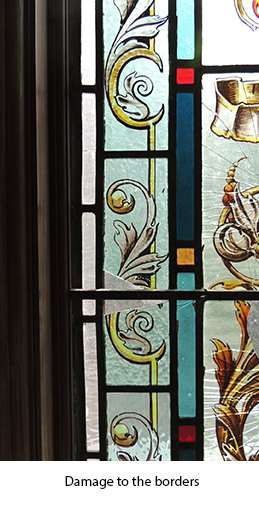 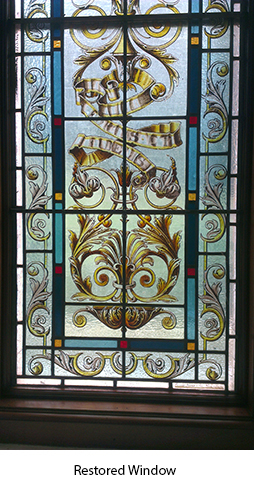 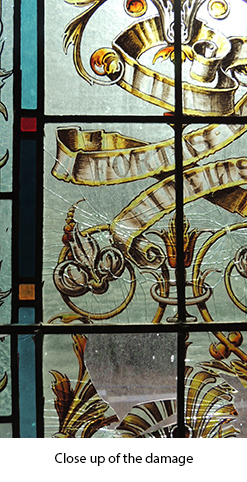 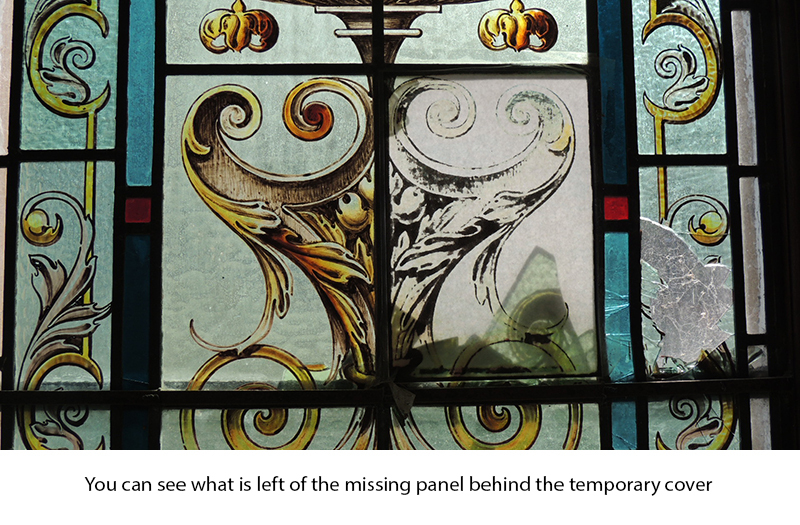 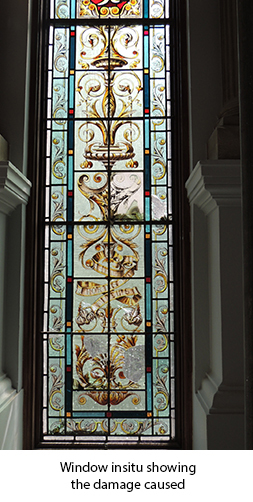 During the restoration of the building, damage occurred to the stunning stained glass window at the school. 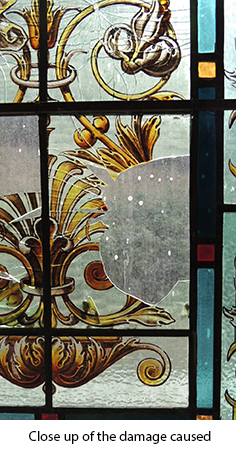 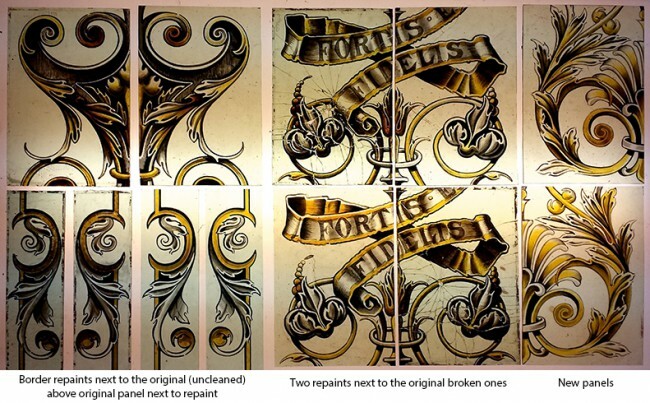 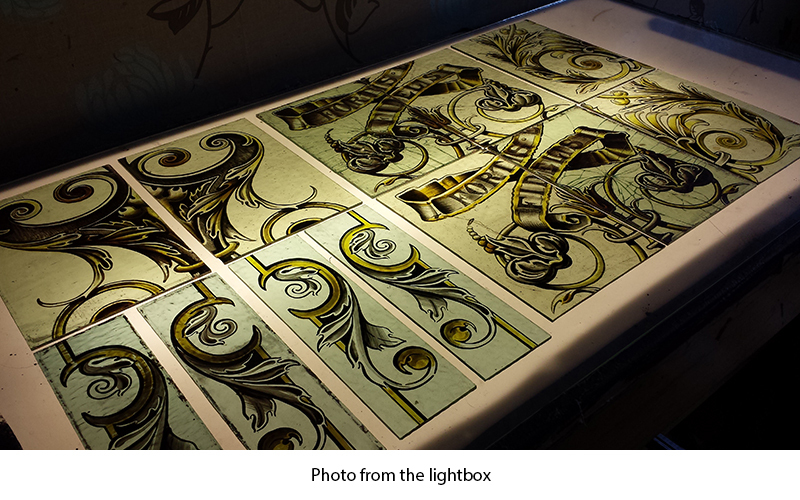 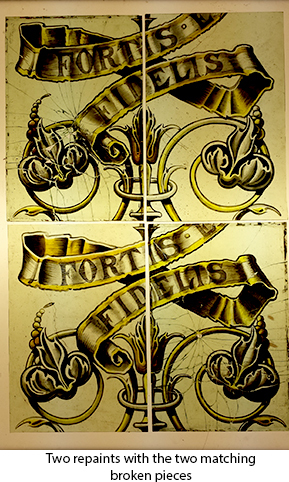 Using existing pieces and photographs of the original window, we were able to paint new pieces to replace those broken. 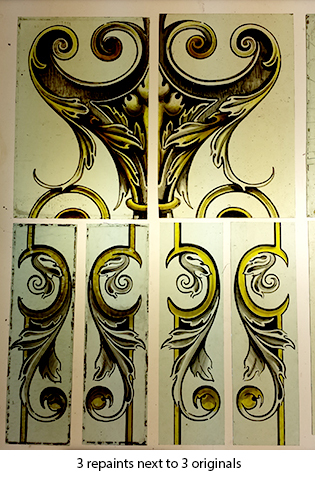 Using glass to match and experienced painting skills, it is hard to tell which is original and which is new.